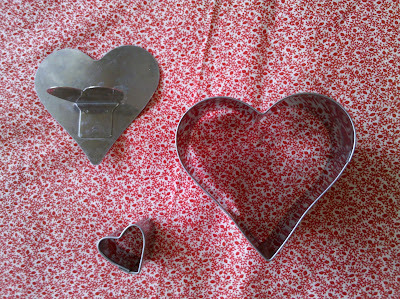 Welcome to Muffin Tin Monday the Muffin Tin Meal Blog Link Up. Share your muffin tin meal blog post below! 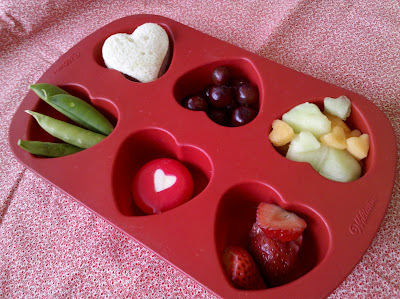 For more info on Muffin Tin Meals, see the FAQ page. 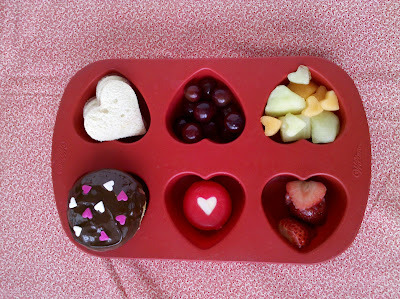 but we still managed a little muffin tin lunch with a Valentine's twist. In this heart valentines themed muffin tin lunch (from the top left): Heart mini sandwiches, red grapes, heart shaped melon, red strawberries, heart stamped Babybel cheese wheel, chocolate dipped cupcake with heart sprinkles. I love the healthy foods in this lunch! Your meal looks healthy and yummy!